Mio Active Body Cream Review: Is This Product Really Worth Buying? 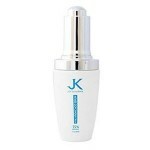 This formula is a lightweight body cream created to hydrate and nourish skin intensively. Made with Shea butter (organic), hyaluronic acid and vitamins, this cream moisturizes dry skin, promotes elasticity, makes the skin more radiant, and protects it from natural aggressors. According to Mama Mio’s website, it’s created without parabens, petrolatum, artificial colorants, xenoestrogens, glycols and phthalates. This product is vegan and cruelty-free as well. Learn more about how this formulation works and see if it is worth purchasing by reading our complete Mio Active Body Cream Review. Mama Mio was founded in 2005 with the belief of the importance of using only topical products that are free of potentially harmful components. This company develops products that make its customers look and feel good. An Italian word meaning ‘mine’, Mio is clearly a skin care brand that was created to help make women take charge of their bodies and give it the ‘me’ time it needs. Moreover, all of its products are vegan, cruelty-free and made without common irritants, such as parabens, petrolatum, colorants, , PEGs, glycols and phthalates. To use Mio Skincare The A Cream Active Body Cream, apply two to three times a day on damp skin and then allow it to dry naturally to ensure thorough absorption. One container of this product (150 ml) costs $40. Organic Shea Butter: It is known to have potent healing components than promote softness and elasticity, and provides a protective barrier to the skin to lock in moisture and help prevent skin problems. 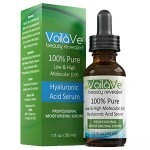 Hyaluronic Acid: This is a powerful moisturizing ingredient that helps make skin plump and smooth. Aloe Barbadensis Leaf Juice: Also known as aloe Vera, it is an ingredient that soothes skin and calms inflammatory conditions. It’s jampacked with ingredients needed by the skin. The use of potential irritants is minimized. Some users noted that the product is great on shaved legs, elbows, knees and feet. Received an award from the Cosmopolitan Beauty Awards 2014. 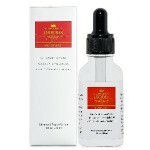 Contains cetearyl alcohol, an ingredient that causes skin irritation to people with sensitive skin. 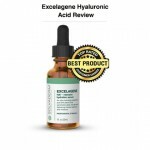 Contains cyclopentasiloxane, which studies have revealed to cause mild skin and eye irritation. Detailed information of its active ingredients is not provided on the Mio website. Not enough user reviews to prove it is effective. Pricey for a simple formulation. Mio Skincare The A Cream Active Body Cream is a lightweight formulation that claims to have the ingredients the skin needs for optimum hydration. 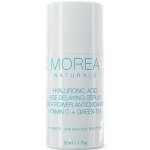 It does have some components that are beneficial to the skin but there’s nothing remarkable about this product. Additionally, it’s expensive, contains potential irritants, and there’s nothing noteworthy about its active ingredients. Therefore, we cannot recommend this product, especially because there are many better options on the market that can deliver the same or even better results. Unsatisfied customers can’t return this product for a refund.